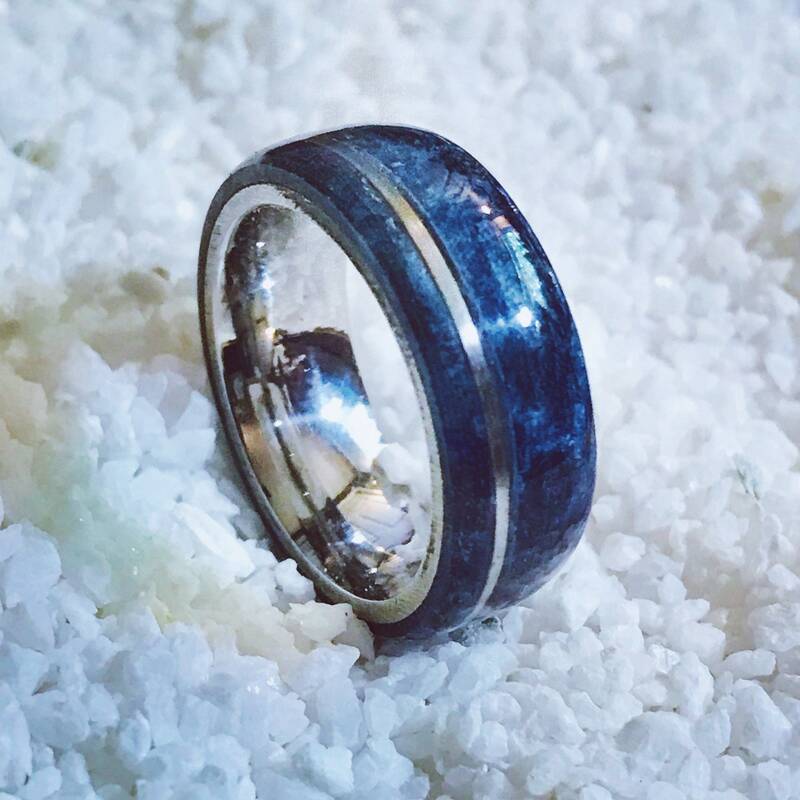 This ring is carved from a solid piece of wood w/ a stainless steel offset inlay and core. 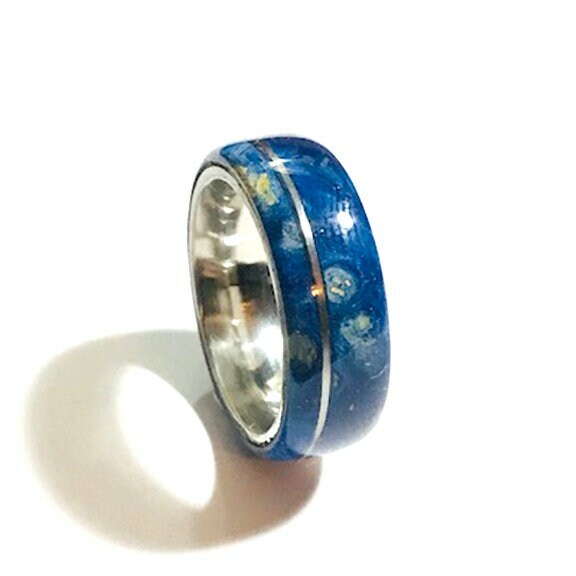 This band is available in a width of 5mm or 8mm with good weight and comfortable fit. 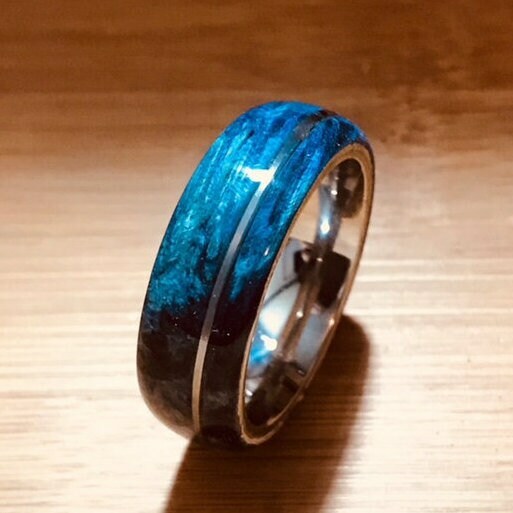 Each band is custom made and has its own ****unique wood grain (no two will look alike).